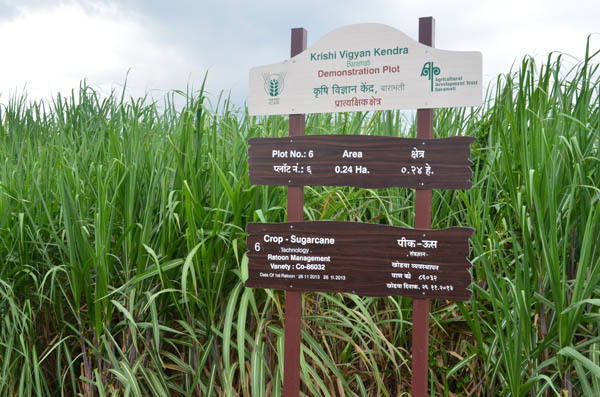 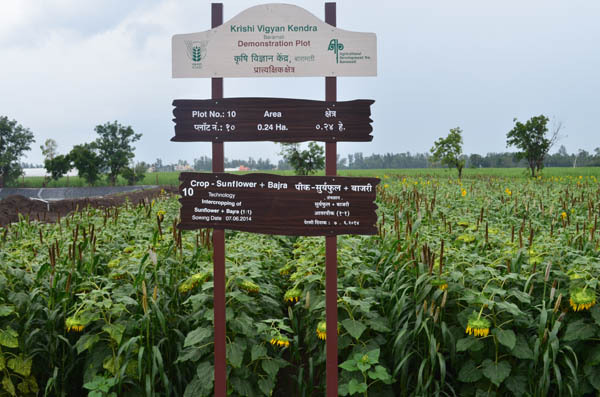 The Krishi Vigyan Kendra possesses 110 acres of land that is fully under cultivation of crops relevant to the area. 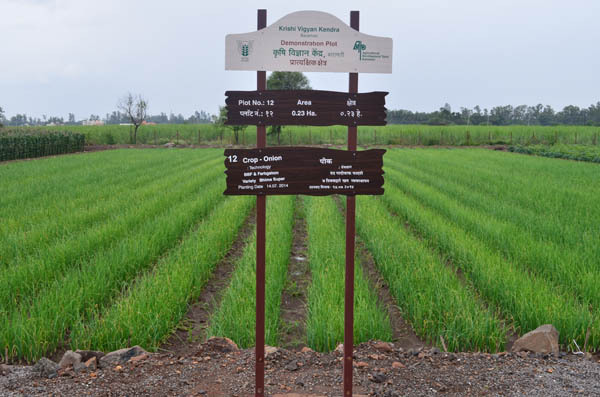 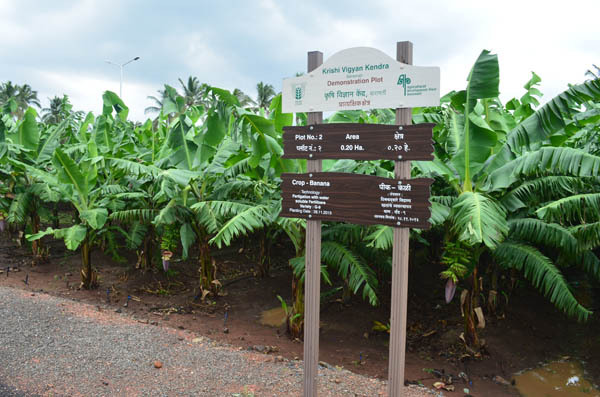 The main purpose of the farm is to demonstrate the latest agricultural practices. 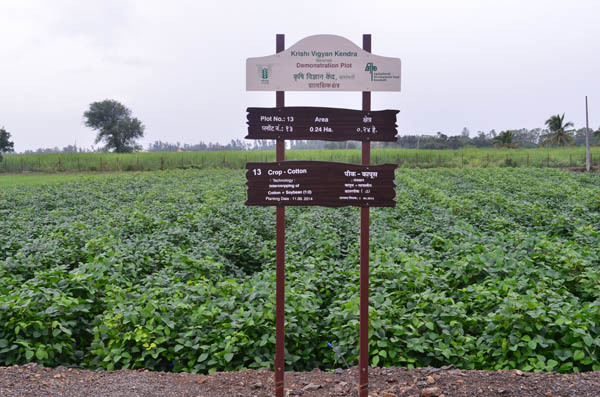 It also acts as a tool to do applied research on agricultural technologies & undertake trials before their transfer to farmers. 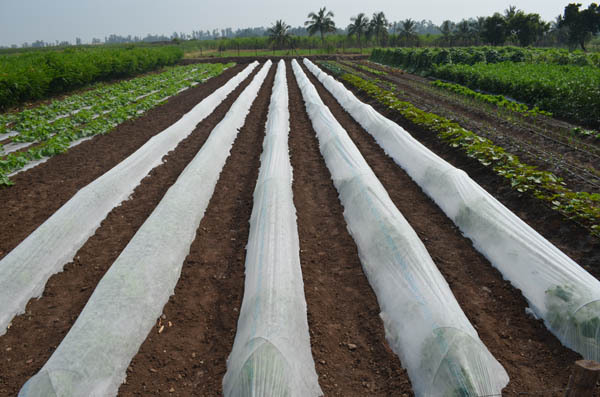 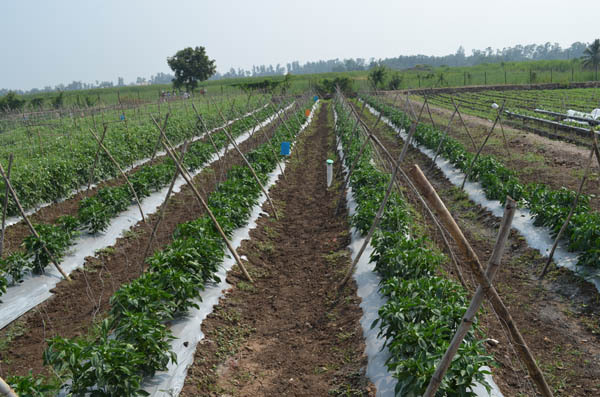 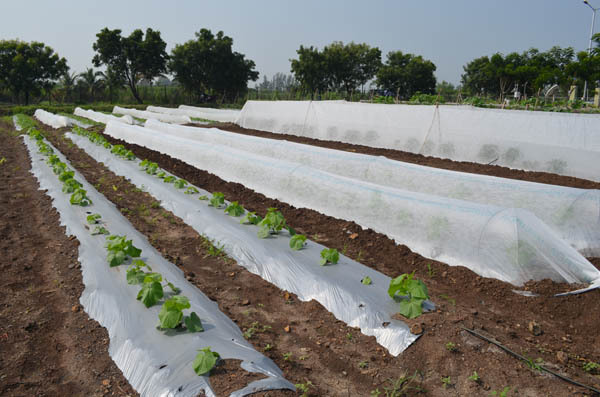 Farm have the mother plants of horticulture crops such as Mango, Sapota, Guava, Anola, custard apple, pomegranate etc.Agronomical crops like soybean, onion, cotton, rice, sugarcane and wheat etc are grown. 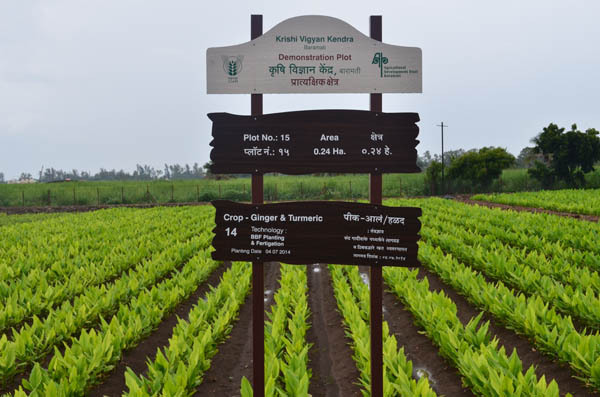 In the year 2012, KVK has established Automation & Fertigation unit through which Water& fertilizers are provided to all crops on farm. 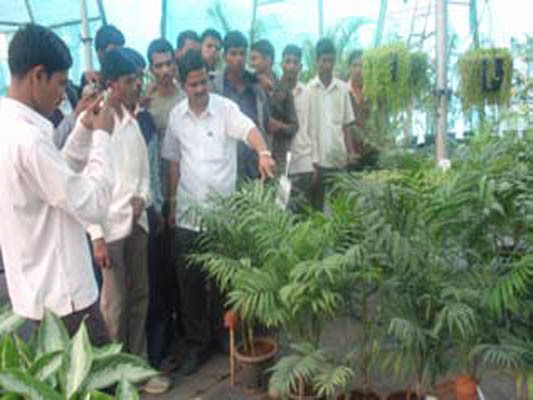 This Vocational Training Center wasstarted in KVK in 2006 in collaboration withMANAGE, Hyderabad. 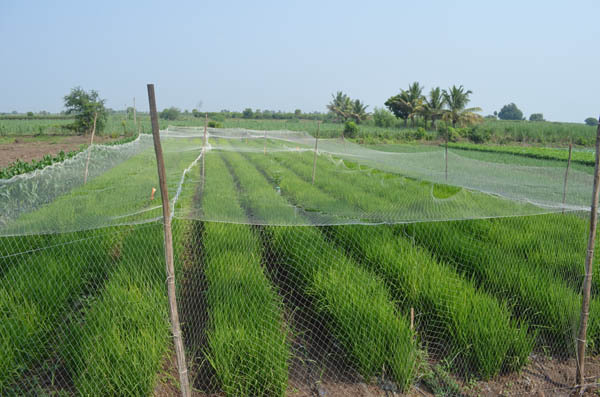 The agricultural andallied graduates and Agri Diploma holders areeligible for this two months residential training.The students are charged only Rs.500 as feesof training including food and accommodationfor two months. 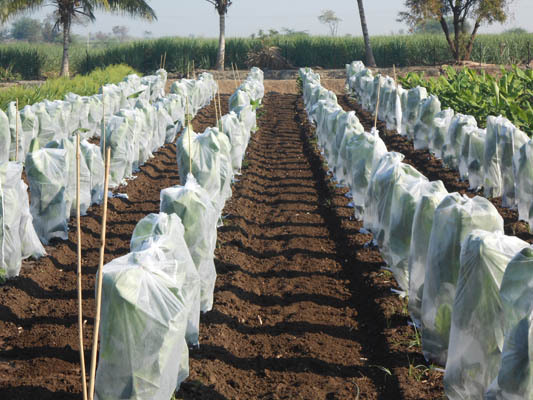 The objective of this training isto motivate and train the students for startingbusiness related to agriculture and developthemselves as entrepreneur & also extensionof new technologies and information to thefarmers.After the training, students have to submitproject report up to 20 lakhs to the respectivebanks for availing loan and they will get 36%subsidy from Nabard. 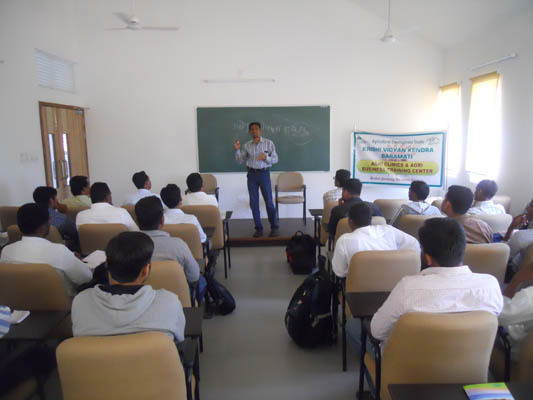 Up to the year 2013,KVK has organized 16 training programmesin which 448 students are trained from which178 students started their own business. 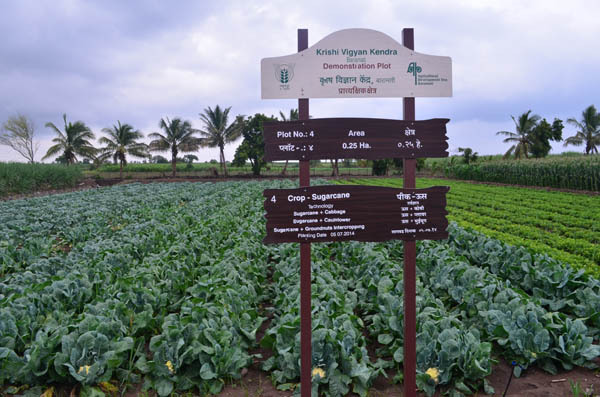 Mali Training - The training on nursery management andgardening is regularly conducted by the KVKsince 2003. 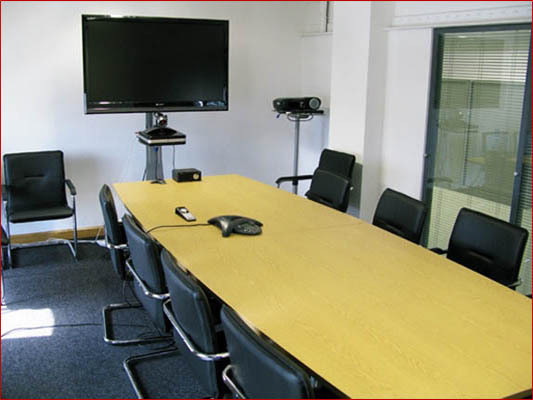 The duration of this training is6 months. 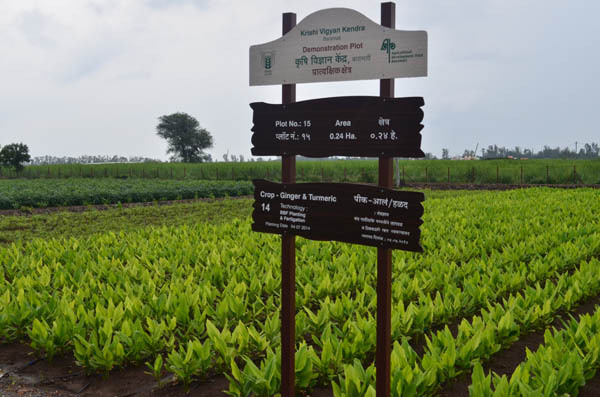 The training is organized under ascheme of National Horticulture Mission. 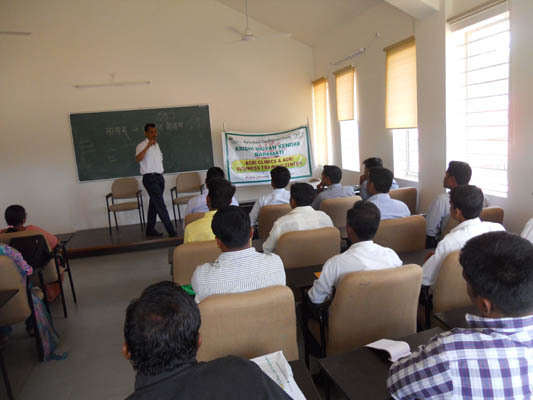 Tilldate, 234 trainees have got trained and manyof them have started their own business orhave got a good job. 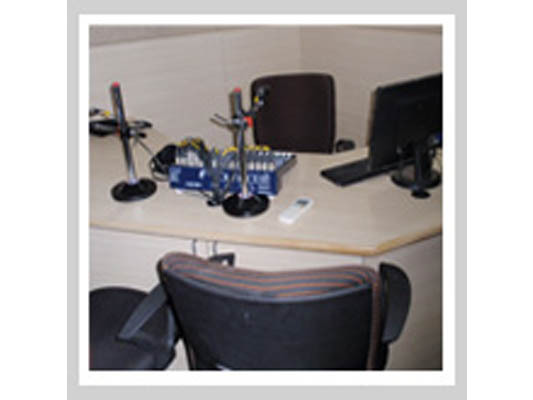 •	This KVK is one of the few KVKs in the country to run Community radio station. 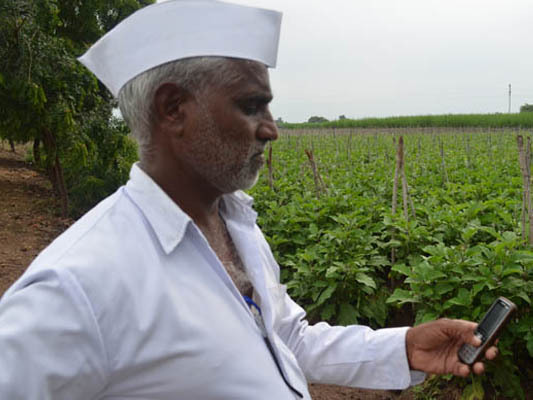 Sharad Krishi Vahini 90.8 Mhz. 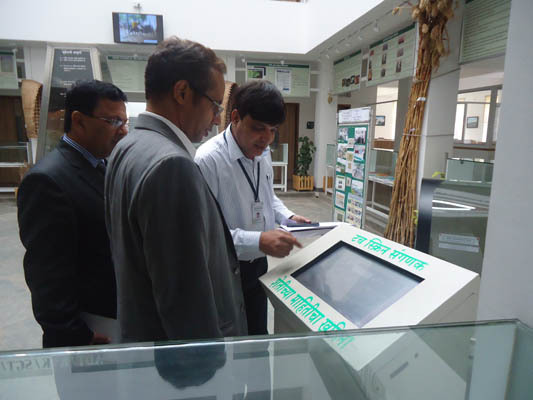 •	KVK Baramati also installed a Touch Screen Kiosk. 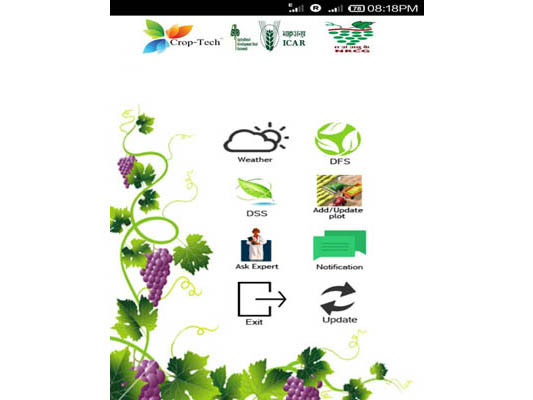 A farmer by just pressing keys can get information on Crop diseases, Crop Recommendations & Animal diseases etc. 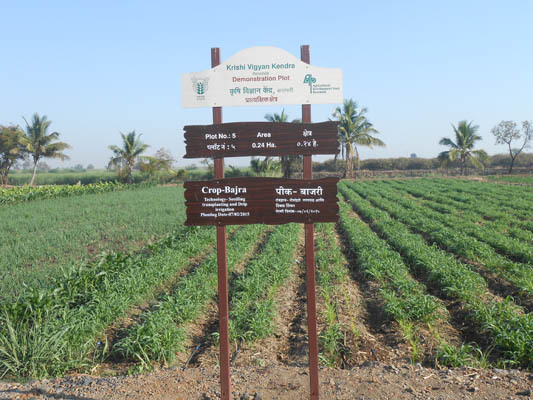 •	KVK conducts variety of extension activities such as, technology week, kisan mela, study trips, field days, radio talks, publications, etc. 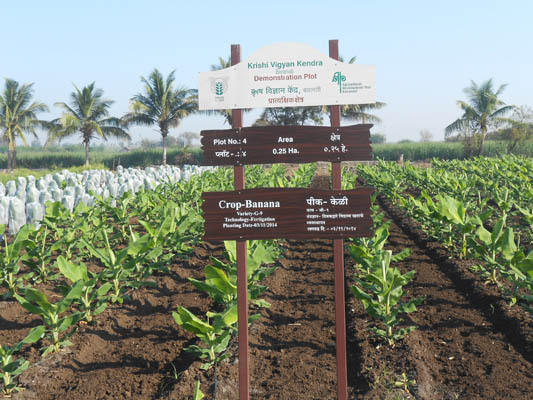 •	These activities help KVK to reach large masses of farmers with information on advances in agriculture.